Move, rotate, and resize two vectors in a plane. Find their resultant, both graphically and by direct computation. Pages 1 and 2 are essentially a cut and paste from the guided exploration included with the Adding Vector... (more)s Gizmo. However, page 3 is an enrichment activity for students who are familiar with right triangle trig. It's designed to help make a connection between polar and rectangular vector forms. 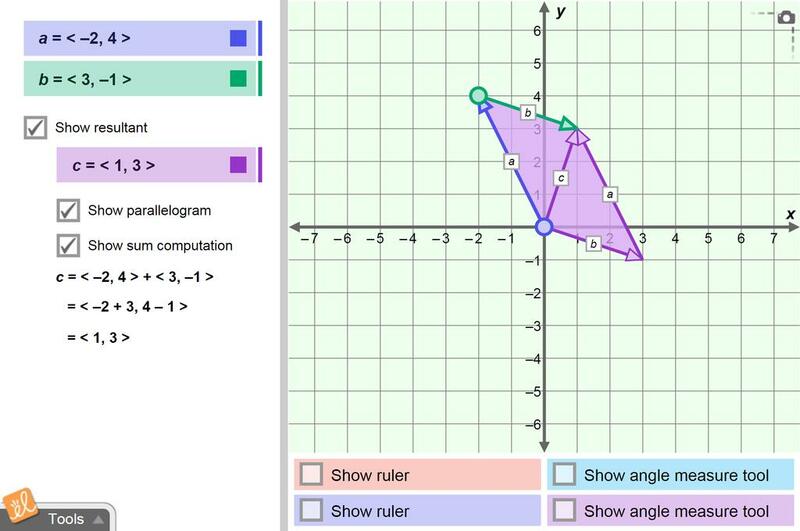 Vectors in a straight line are easy enough for students. This gizmo helps them with the more difficult task of incorporating angles.